Low self-esteem is usually considered unhealthy, but according to rational-emotive behavior therapy, any level of self-esteem reflects a dysfunctional habit of globally evaluating one's worth; it would be preferable to accept oneself unconditionally. This hypothesis was tested by examining several correlates of scores on a novel questionnaire measure of unconditional self-acceptance (USA). 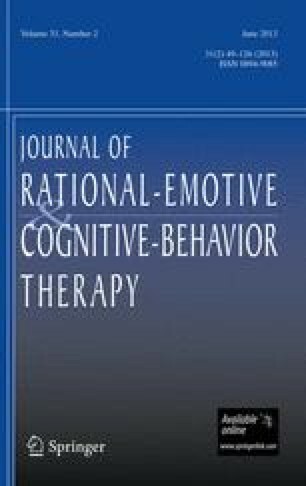 In a nonclinical adult sample, statistically controlling for self-esteem, USA was inversely correlated with anxiety symptoms and with narcissism, positively correlated with state mood after imaginal exposure to negative events. Other predicted associations of USA (with depression, happiness, and self-deception) either were not evident or became nonsignificant when self-esteem was taken into account. Discussion centered on the conceptual and operational distinctions between self-esteem and self-acceptance.